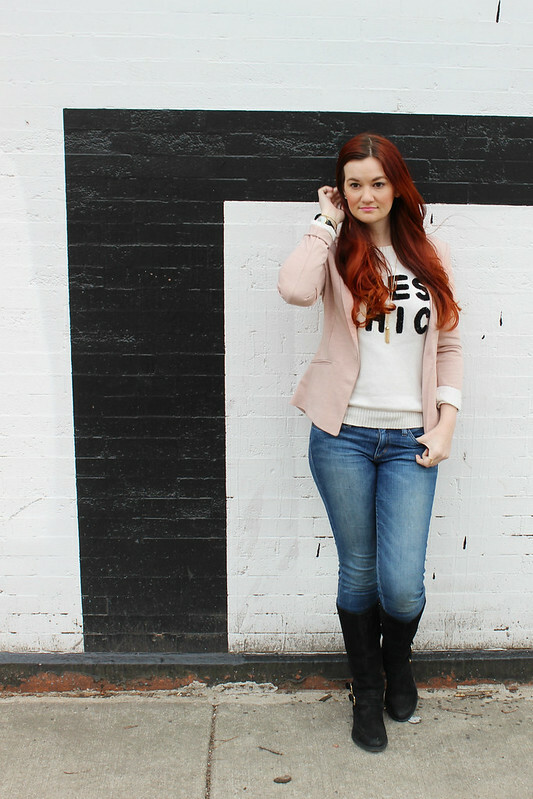 Blazers are one of my favorite staple pieces. I'm always looking for the perfect one. I like my blazers to fit a little loose, be longer, and have a bit of a "boyfriend cut". I recently stumbled upon this one from H&M, and absolutely had to have it every color available. The jersey material makes it incredibly soft and breathable; which will make it perfect for spring and summer looks. This blush pink color isn't available online, but I found it in the store this past weekend so it should still be available. 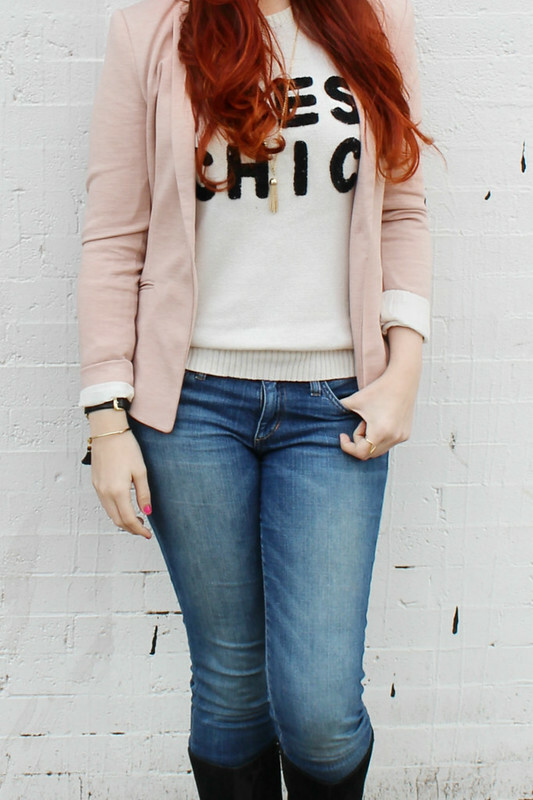 I think the right blazer is the easiest way to elevate a casual look and make it seem more sophisticated. 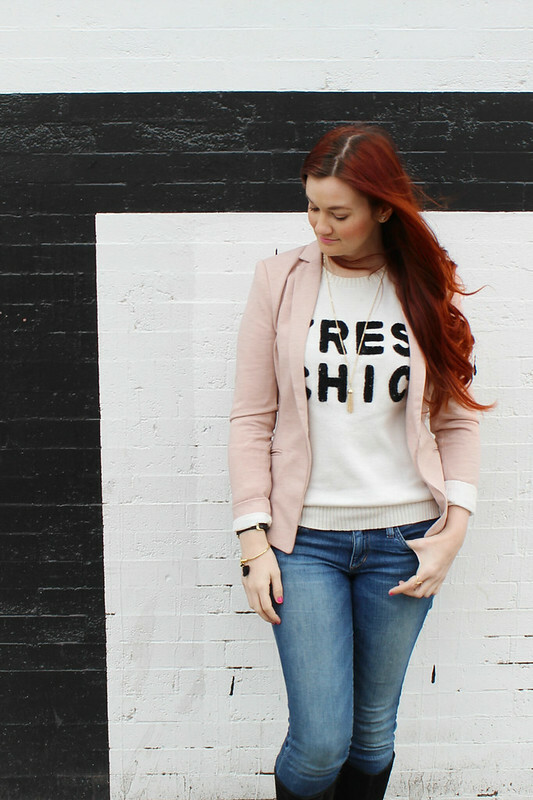 I paired this blush pink blazer with a Parisian inspired, "Tres Chic" graphic sweater, classic skinny jeans, and black suede boots. 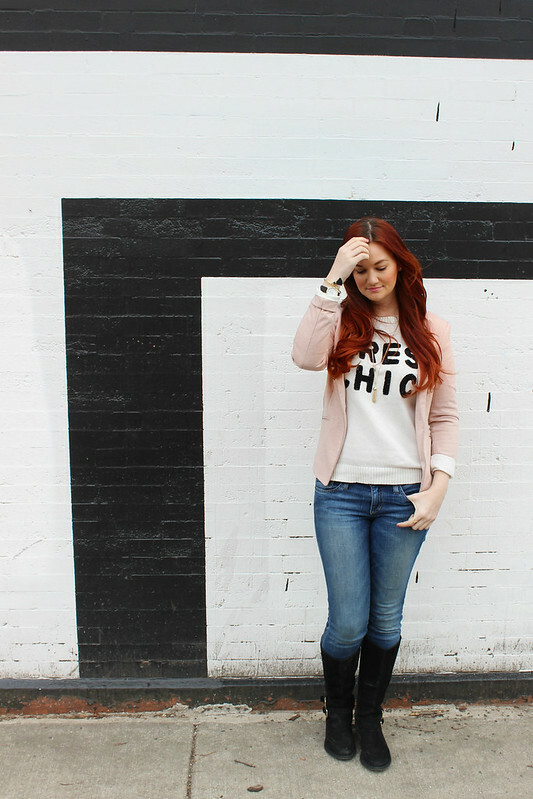 The blush color is perfect for transitioning into spring fashion. Once the warmer weather begins, it will be the perfect addition to many a spring dress. I love your style! That look is still cozy, but has hints of spring in it with the pink and white. Perfect! Thanks so much, Brianna! I absolutely love this blazer. I can already tell it's going to see lots of action this spring!